Designed with the wet hair wraps in mind but so much more versatile than that. Whenever you’re on the move, be it on holidays or to the gym, you can’t go past one of these. 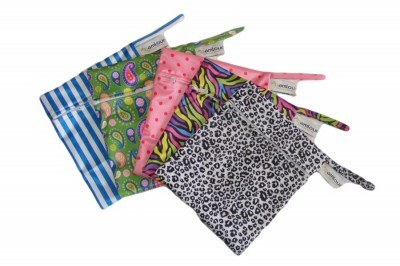 The Bamlour™ Wet Bag – Hair Wrap Travel Bag are water proof, have a zip closure, are soft, light weight and washable. With our large range of patterns you’re sure to find one you like. Great for storing your wet hair wrap while travelling, great for make-up, laundry, wet swimwear, personal hygiene products, toiletries or hair care products. Great because when it gets dirty just throw it in the wash and it dries in minutes. I love my wet bag, I use it every time I travel. Great for toiletries and shower products. I have a wet bag to accompany my wet hair wrap and it fits in there perfectly , my daughter also has one. They come in great stylish colours and are so versitile that you could use them for make-up, travelling, wheat bags and more , love these ! !